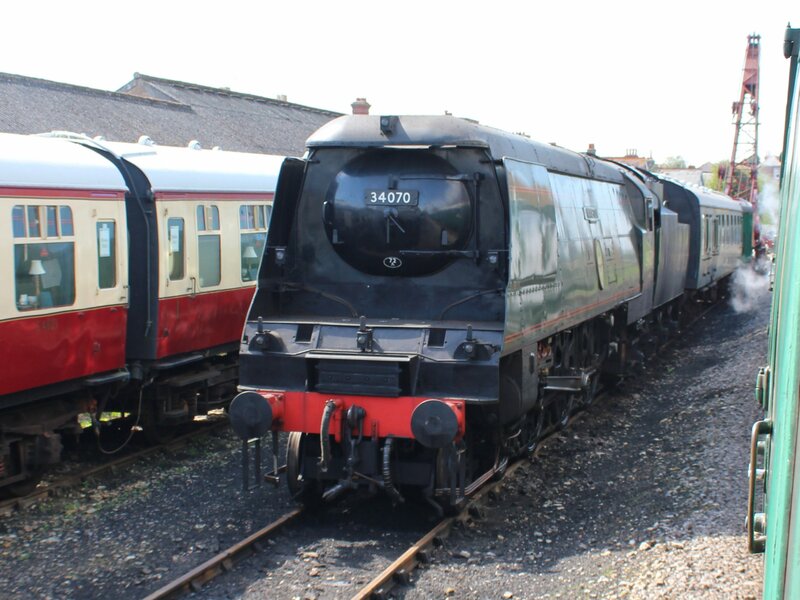 The two locomotives in service on Easter Monday were M7 tank 30053 (click here for more) and rebuilt West Country pacific 34028 Eddystone (click here for more). However, there was more to see at Swanage, particularly when passing by on the train (note to enthusiasts – be ready by an open window before the train arrives at Swanage!) There were two Southern region diesel class 33 locomotives, 33/1 33111 (pictured above and below) and a 33/2 variant – 33202 Denis G Robinson. 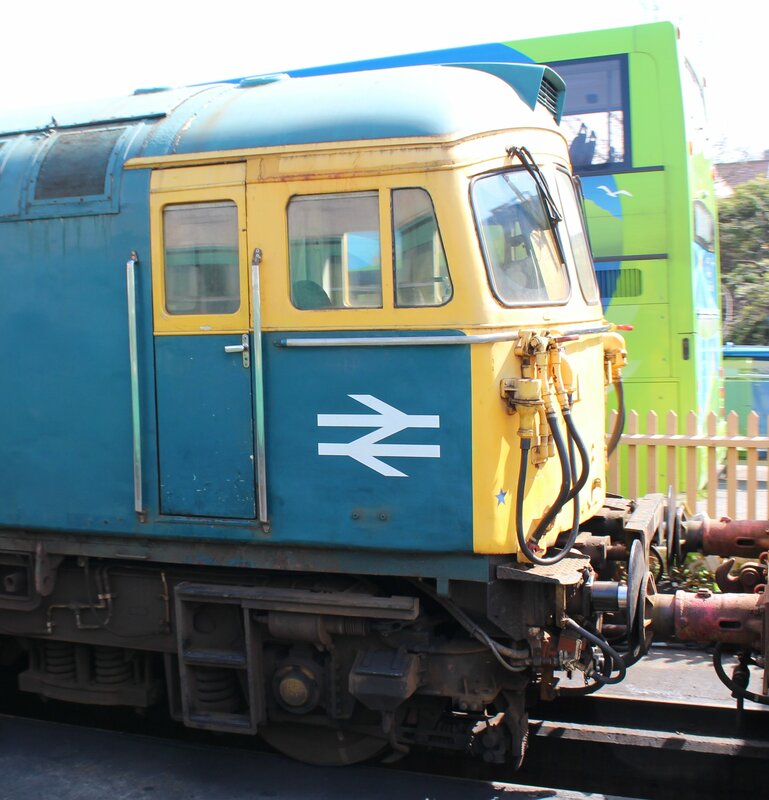 Originally known as BRCW Type 3 diesels and also nicknamed Crompton’s, the class 33 are Bo-Bo diesel electric locomotives built between 1960 and 1962. The 33/1 types as above were push-pull fitted and the 33/2 (below) is a narrow bodied version, built to be used in Kent on the Hasting’s line, a route infamous for its narrow tunnels. 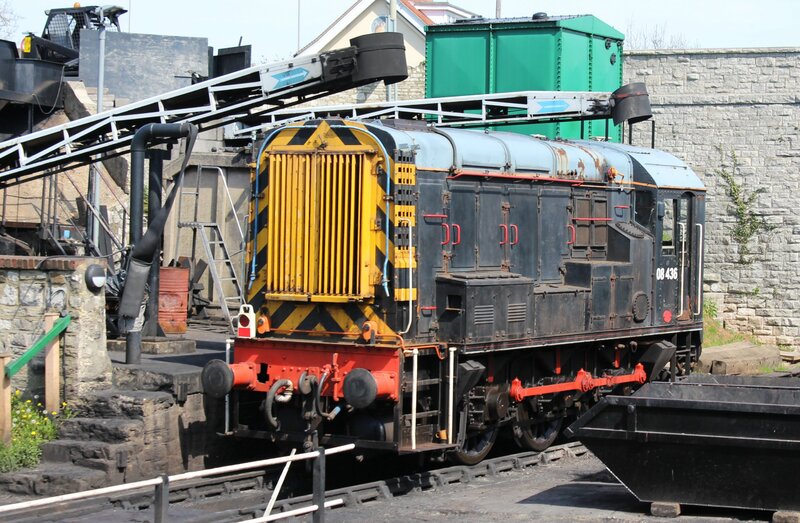 No standard gauge railway in the UK is complete without class 08 diesel shunters and the Swanage Railway is no exception! 08436 is pictured below. Next (below) we have light pacific (Battle of Britain class ) 34070 Manston. In its original air-smoothed casing, it’s remarkable how different it looks to the rebuilt 34028 Eddystone. 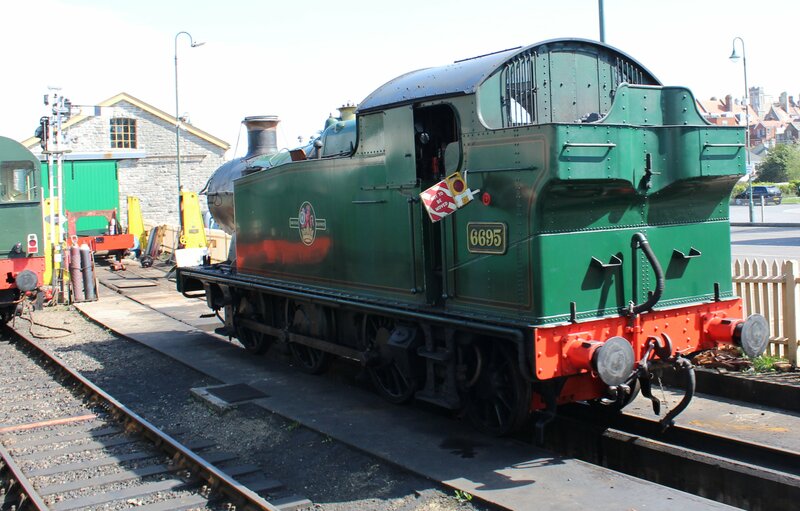 Finally we have something for GWR fans, 56xx class 6695. Built to haul coal in South Wales, these powerful 0-6-2T steam locomotives are ideal for preserved lines, with plenty of low-down power and adhesion, perfect for slow, heavy tourist-laden trains. So overall we have an interesting selection of motive power, well worth the risk of getting soot in the eye to open the window and have a look as the train approaches and leaves Swanage! 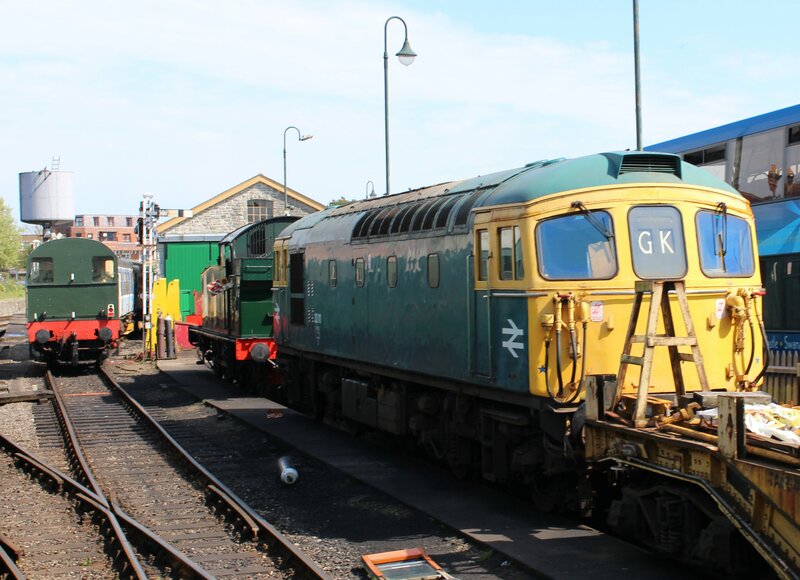 Click here to read more articles from this visit to the Swanage Railway. 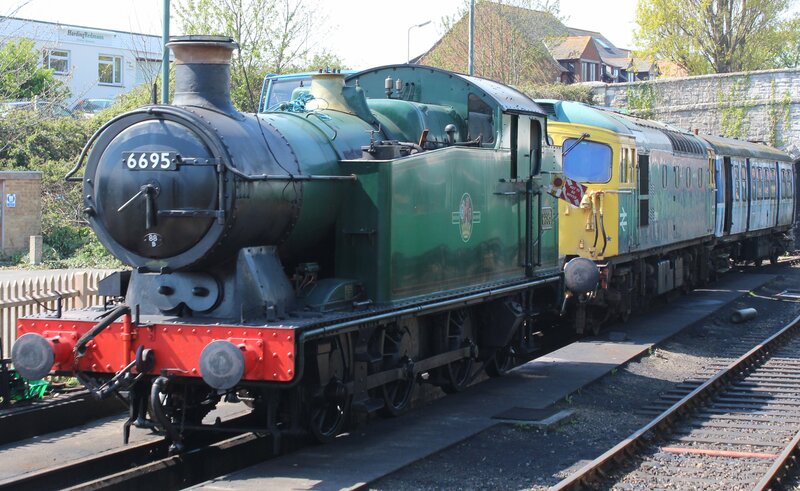 26/04/2014 in Real Locomotives, Swanage Railway.